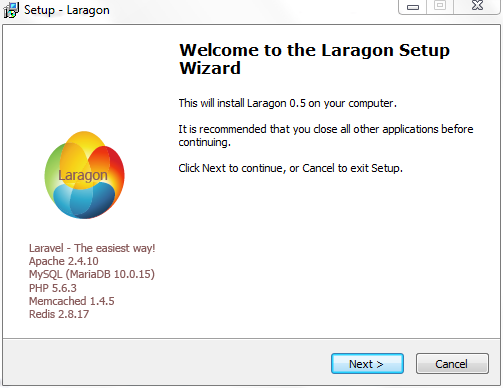 I’m trying to install the Laravel Framework on Windows with the Laravel Installer method. 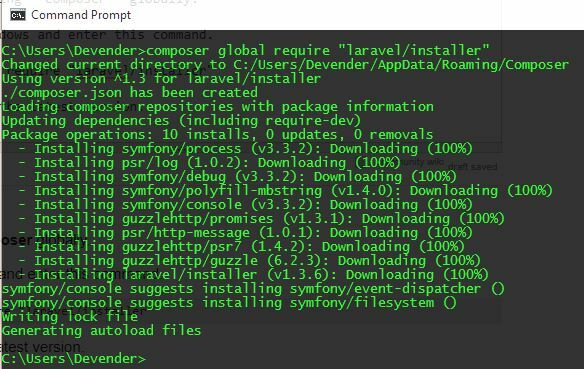 First, download the Laravel installer using Composer. Make sure to place the “~/.composer/vendor/bin” directory in your PATH so the laravel executable is found when you run the laravel command in your terminal. Now this PATH does not look familiar to me. 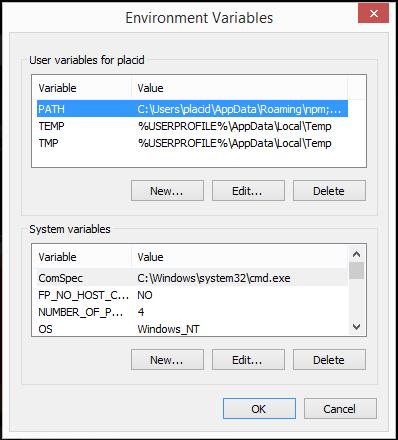 Could you tell me the working path for Windows? BTW: I’m using WAMP. Composer is installed and updated. I’ve found the location where composer stores the Vendor files. I assume you have php and composer in your PATH already. %appdata% is added, so you don’t have to worry about adding your computer name. 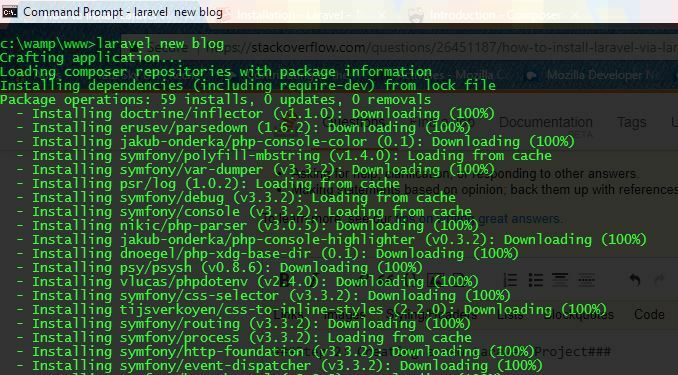 Now you should be able to run laravel commands in the command prompt. 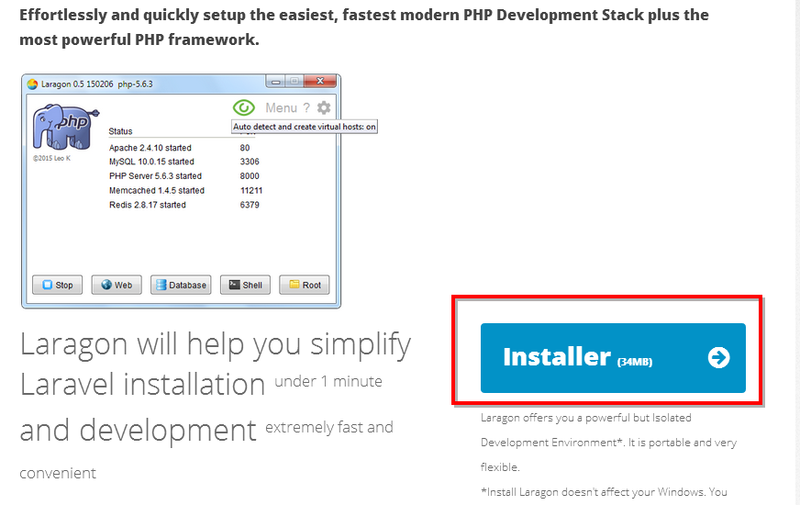 Take you 5 minutes to have Laravel4 o Laravel5. Copy the above path, replace the "UserName" with your username. Restart your command prompt and type laravel and hit enter. 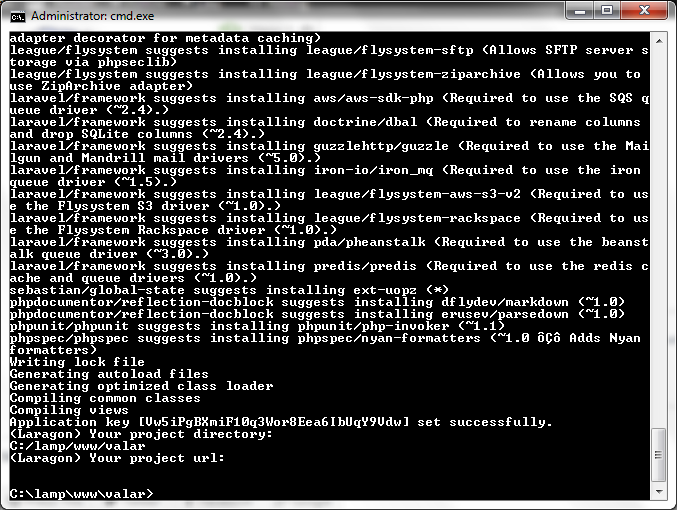 If the path was successfully set, you will see "Laravel Installer Version ... "
I leave everything to default. make sure you have composer on your computer. copy the vendor folder and paste it into the folder (Destination folder) where you want to install Laravel project; for example, in folder D:\Test\Laravel. pressing down on Shift key and Right click on the folder vendor in your destination folder (D:\Test\Laravel\vendor), and choose "open command window here". You can install laravel using Homestead box. There are a few steps you need to follow. 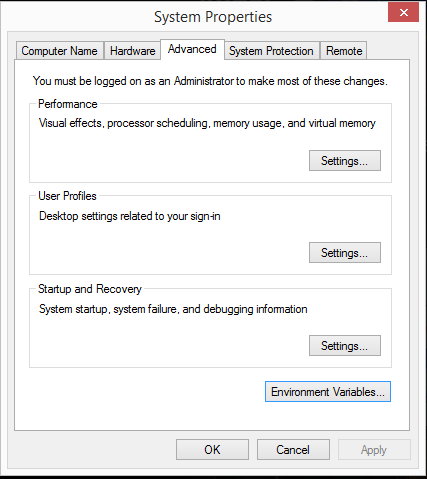 Make sure that you have windows virtualization turned ON in your BIOS. This will save you a few hours if you are installing it for the first time. You will also need to install Vagrant and Virtual Box before starting the installation of Homestead. The main advantages of using Homestead is that it provides a Linux virtual machine where you can easily install packages. It does comes with a lot of packages installed. 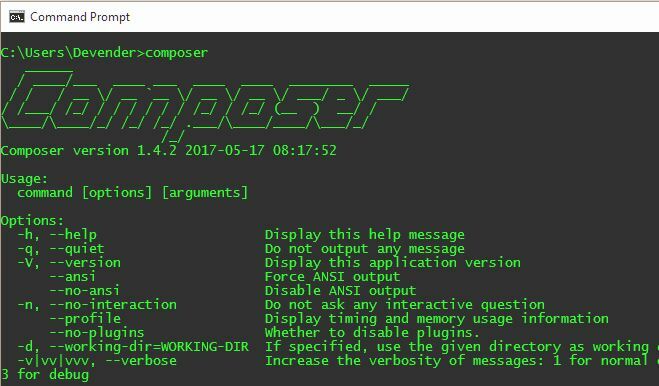 If you have not installed composer on your system get from here. Step 1: Installing Laravel globally. Open cmd in Windows and enter this command. Check by entering the below command. Run the below command in cmd, blog is the name of my new project. That's it. Now you have your new project folder in the directory you have saved. Not the answer you're looking for? 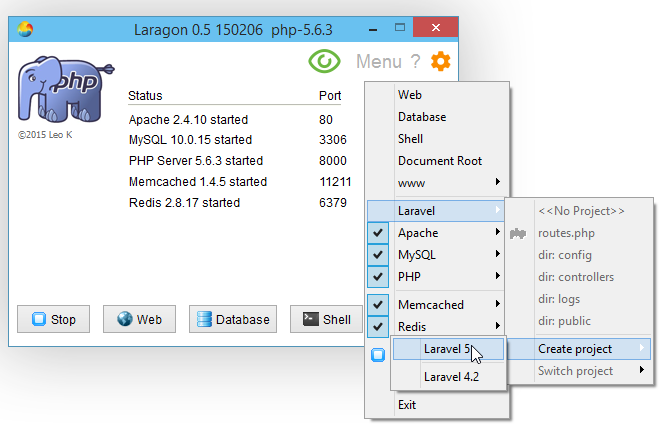 Browse other questions tagged laravel laravel-4 installer composer-php or ask your own question.